Charles Feeny will be speaking at two major events in London in the coming weeks. On 26 June, Charles has been invited to speak at a seminar organised by leading insurance firm BLM at their London office. The seminar will focus on industrial disease and Charles has been asked to address the issue of date of knowledge in mesothelioma claims. Charles has appeared in a number of the leading cases in this area of law, most recently Bussey v Anglia Heating. The implications of the Court of Appeal Judgment in Bussey are still being assessed and further litigation in this difficult and emotive area can be anticipated. On 5 July, Charles will speak at and moderate a session on lesson-learning in self-harm and suicide claims in the context of mental illness. This follows his instruction in a number of cases against NHS Trusts in this area. 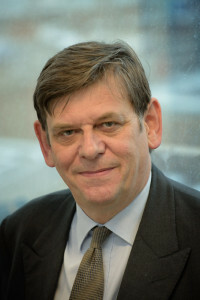 The event is a national conference at the Institute of Child Health in London organised by NHS Resolution under the title of “Mental Health Matters – Leaning from the Frontline”. The conference represents part of NHSR’s ongoing commitment to improve standards of patient safety, including by reference to lessons learnt from litigation. Speaking at these events is consistent with Charles’ commitment to education, training and debate in relation to legal issues. He focuses his activities in this area on the website Pro‑VIDE-Law.